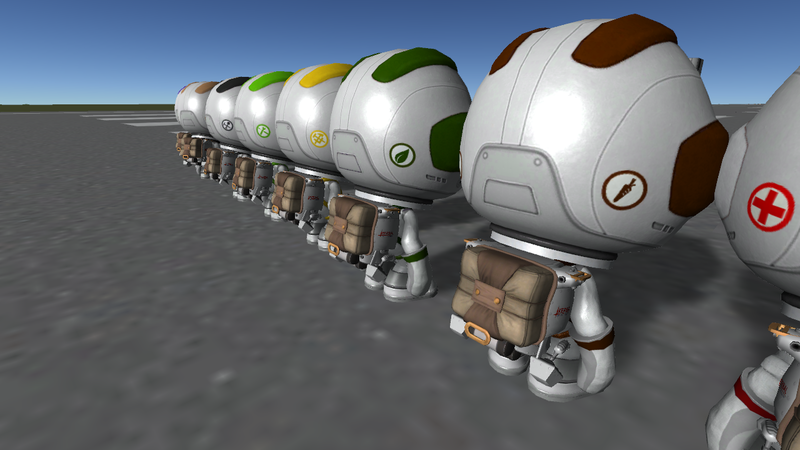 A set of suit textures for TextureReplacer to distinguish each class in stock and USI's Modular Kolonization System. Does not require USI's MKS but highly recommended for the additional classes. Works in 1.5.x and 1.6.x. 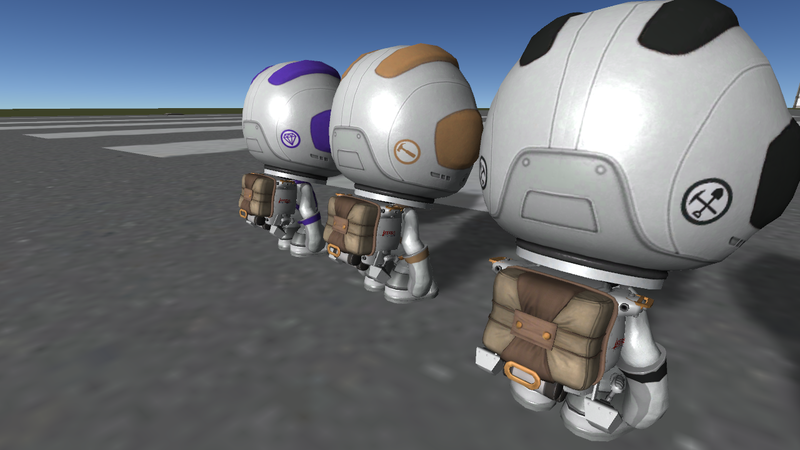 If you want something compatible with 1.4, have a look at the original USI Kolonization Class Suits. GergroxMun for his Multicolor Suit Pack which forms the basis for this suit set. Scart91 for his original class suit set and icons. 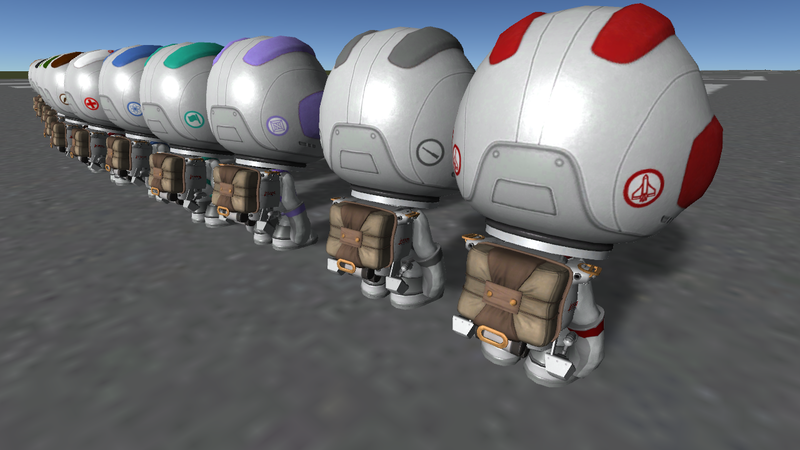 fast de la speed for his original USI Kolonization Class Suits which includes the icons for the MKS classes. A few icons are switched, many colours changed and a couple of new/modified icons when compared to fast de la speed's suit set. 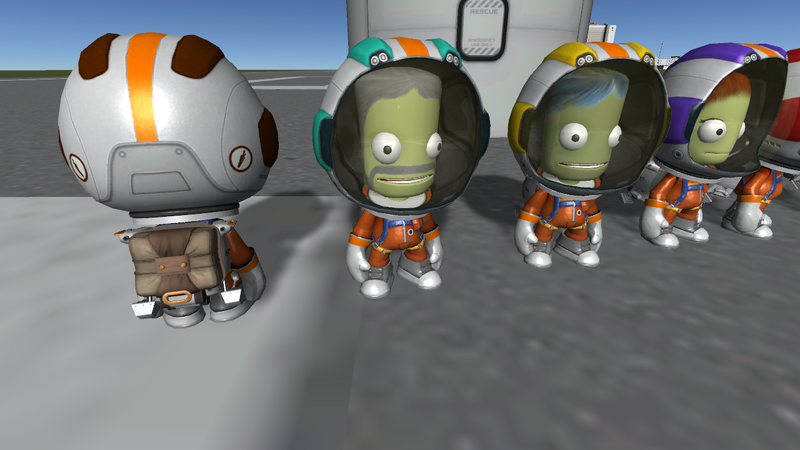 The icons were also moved from the convenient centre location as I am unable to find a viable way to place them there with the new half-helmet texture wrap used in KSP 1.5. Pilot and Scout with slightly less baseball bat looking icon. I assumed it was meant to be a sailing era spyglass and made it more distinguishable. Kolonist budding in here but the Scientist and Medic in view. Now with veteran suits for each class. Based on GregroxMun's orange suits with coloured helmets, now with a veteran stripe, for easy identification from the back. Jeb assures us the stripe is not just orange duct tape. This looks great! Does it work on 1.5.1? Yes it does. Prior to 1.5 the suit textures were different so it won't work for anything earlier than that. I just submitted it to CKAN though Spacedock. Keep an eye out for when CKAN makes it available. No. I'm no programmer, and have no idea how to make that work. Fine. Thanks for your work, i like the suits. 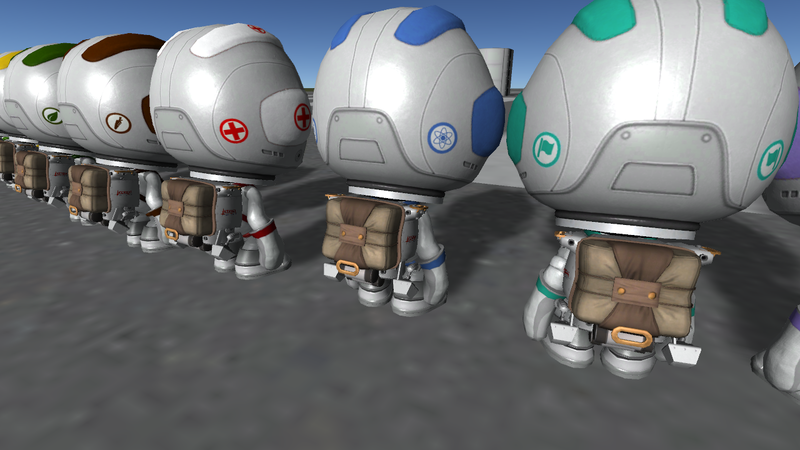 The error occurs for several of the class suits (Engineer, Kolonist, Medic, Miner, Pilot, Scientists, Scout, Tourist). Any idea on how I can install the mod? 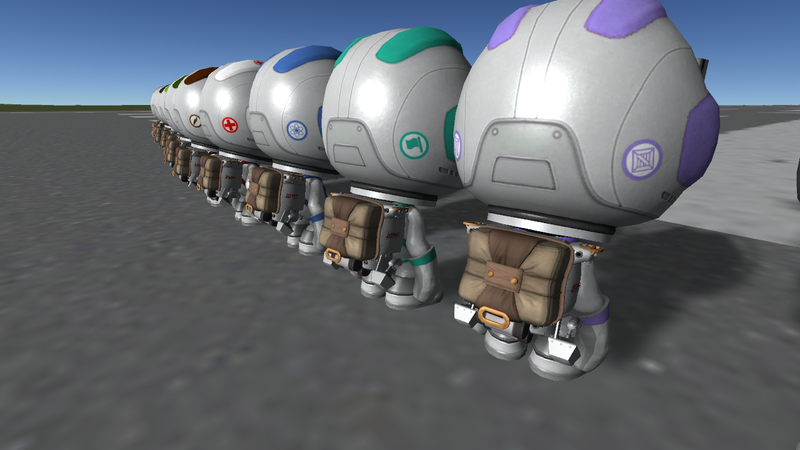 I believe you need to have the usi mks mod installed to be able to receive all suits. From space dock - "Does not require USI's MKS but highly recommended for the additional classes." The error @HawkEngineer was referring to was during the file open/unzipping process. This was happening to me as well, but I switched to opening the file with 7zip and it worked fine. 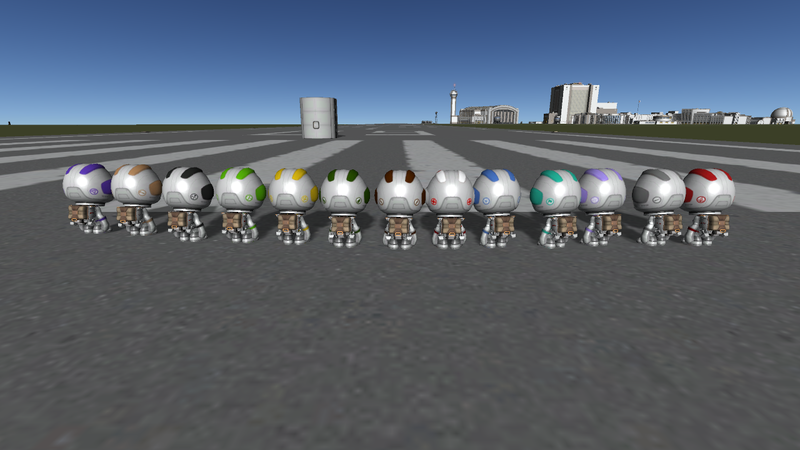 The default windows ZIP handler would give those errors on a bunch of the KerbalMainGrey.png files as well as a couple of the white ones. Try to manually open the zip with 7zip or winrar if you have one of those and see if you are still unable to get those files out. @Beetlecat, thanks for the information. I was able to successfully extract the files using 7zip software. Nice one, I thought it was because I hadn't added mks yet. At any rate all the suits should be available regardless of MKS being installed or not. Without MKS you simply won't have the options for the extra classes within the Texture Replacer menu. 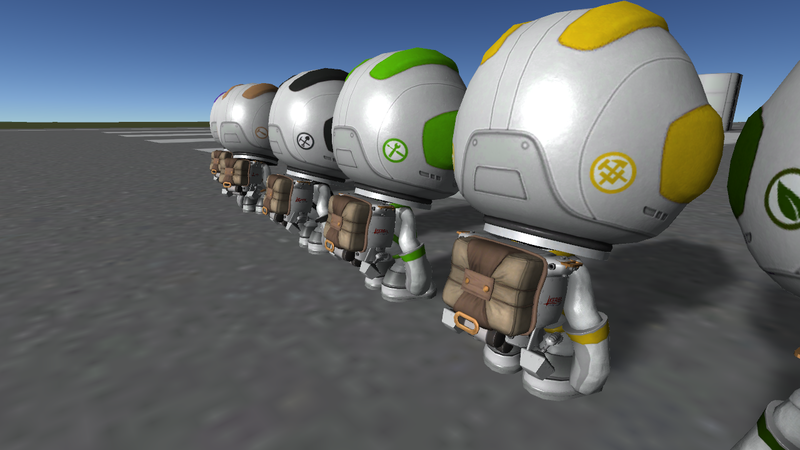 You can still manually add them to particular Kerbals, or use them in place of one of the stock classes, or just use the standard class suits and ignore the MKS classes altogether. It typically works fine -- no idea why it was selectively failing on those files. Nothing to really "fix" at this point, but maybe there are some fun file attribute shenanigans? Guess I should have checked my zip file before uploading. I wasn't able to make 7zip behave properly, even after creating another archive, so I used WinRAR to create a new zip and uploaded it to Spacedock. I actually tested this one and it seems to work properly within Windows Explorer. Why is the .zip for this very small mod over 200 mb? Likely because I don't really have the time, desire or current knowledge to convert the pngs to dds. Gregrox's texture pack is quite large using pngs as well while Gordon Fecyk's suit textures are quite small using dds. I assume the file type is the issue.